Athenahealth CFO Karl Stubelis resigns “to pursue other opportunities” after just over a year on the job. Board member Jack Kane has been appointed to serve as interim. Stubelis’s predecessor Kristi Matus resigned in May 2016 “to pursue other challenges” that her LinkedIn profile suggests she hasn’t found yet. ATHN shares closed up 2 percent Friday on the news, but the year-long price chart is basically flat. From IT Guy: “Re: expensive implementations like at Mayo Clinic. 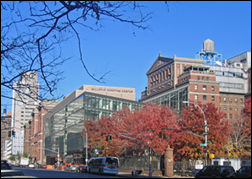 Same thing is going on at NYCHHC. With the total cost of some of these implementations, these hospital systems could literally BUY an HIT vendor.” We had that discussion many years ago at my hospital, where I somewhat jokingly suggested that we buy the company instead of its product since the investment wasn’t much different and we could at least control our own destiny. We also signed up with a desperate vendor that we privately worried we would drive out of business via the overly generous contract they signed in trying to meet that quarter’s revenue target. Don’t forget, however, that the software vendor’s licensing fees are a tiny chunk of the contract’s value, with most of the cost being labor (both internal and external), third-party licenses, and hardware. A $1 billion Epic implementation does not mean the health system writes Epic a $1 billion check. It’s also true that the client would have borne some of those expenses anyway – it’s not like they went from paper to Epic, they were already paying contract fees and labor for the legacy systems being replaced and the savings will offset some part of the new system’s cost. Finally, a lot of the figures you see are just a rumored number with no confirming detail. More than half of poll respondents spend one hour or less each week on Facebook, with many of those not using it at all. Thirty-eight percent are on the site for one to 10 hours, while around five percent of respondents spend more than 10 hours weekly on Facebook. I can’t personally imagine that the seven people who park for 20 or more hours each week won’t eventually regret spending a big chunk of their lives staring at an imaginary world instead of taking 10 steps outside to see the real one where actual people and experiences live, but that’s just me. Quite a few people live under the illusion that they aren’t under Facebook’s spell, a premise easily disproven by observers who can plainly see how often and how long they are entranced by it on their PCs and phones. New poll to your right or here: of the endless number of awards available in healthcare — most of them created solely to advance the agenda of the awarder – which ones do you think are meaningful? (you can choose more than one). Click the Comments link on the poll after voting to explain. I was reading yet another celebratory announcement about a donor who funded the purchase of some hospital’s new diagnostic imaging machine as a benefit to the community. I’m puzzled why it’s a community benefit since the hospital isn’t going to perform those procedures for free (begging the question, why not?) The hospital will undoubtedly profit from cranking out more billable procedures on the machine, paid for by the insurance companies of those same community residents and thus raising the costs for all. As I’ve said before, I’ve spent most of my career working for hospitals and never, ever would I donate money to one or mistake them for a charity rather than a business of questionable motivation and management. I’ve just about run out of DonorsChoose money even though I have matching funds left, but the project we funded for Ms. A in South Carolina was a big hit as her students “clapped and cheered” when their new “teacher’s table” arrived, giving them a space to work on small group projects. Hacker The Dark Overlord lists the digital assets of breached healthcare IT vendor PilotFish Technology on the Dark Web. The VA hires KLAS for $160,000 to advise in on an EHR selection. Dissident Quality Systems shareholder and board member Ahmed Hussein launches his fourth attempt to take control of the company by nominating his own board. The CDC reports that 55 percent of US doctors use some type of EHR, with an 85 percent satisfaction rate. SAIC announces that it will acquire MaxIT Healthcare for $473 million. Microsoft reports the first quarterly loss in its 26-year history as a publicly traded company, triggered by a $6.3 billion write-down of its purchase of ad platform AQuantive. Cerner announces the retirement of 48-year-old COO Paul Black. A Modern Healthcare editorial says “national interoperability can wait” and instead advocates the use of patient-carried smart cards that contain information downloaded from each provider’s EHR. McKesson announces plans to acquire Awarix. Evernote has become my go-to app for everything from minutes, notes, and online article indexing to creativity with its drawing capabilities. All data elements are available on all devices, which alleviates access issues, especially for those of us with a hectic travel schedule. I use the Hemingway Editor to trim emails and write-ups. Brevity is a virtue. OneNote. I use it to organize meeting notes and key documents that are needed for reference. I take handwritten notes during conference calls and then take photos of the notes to post in OneNote for recall later. CamScanner on my smart phone to create PDFs. Allows me to work on expenses during my travel — no scanner required. FollowUpThen.com, a free service that automatically reminds you about emails you send to other people after whatever time you specify elapses. For example, if I email my co-worker asking for some information or action, I can add 2days@followupthen.com in the BCC field, and I’ll get a reminder in two days about it. If I put the email address in the CC field instead, we’ll both get reminders. It’s like a nearly-automatic task list for email follow-up. Any time (iPhone or http://e.ggtimer.com/) where I can put 60-90 minutes on the clock, turn my phone over, minimize Outlook, and dig into something without interruptions. That and Evernote. Evernote. Love being able to synch notes between my ipad, PC, and phone. Use it for everything from meeting notes to grocery lists. OneNote. It’s an amazing tool for keeping me organized and I’m sure I don’t even use a fraction of its capabilities. Outlook. As much as I have a love-hate relationship with it, it has a fair amount of flexibility to do the things your need if you spend the time to set it up fully. Excel. I can dump and sort data there. If I’m trying to reason something out, I can structure my thoughts in a list or table and easily add rows/columns. Tiny Scanner. Mobile scanning app, free, and it has saved my neck so many times. Datawatch’s Monarch software. I was a programmer/analyst before I retired but when I worked there wasn’t a day that went by where I didn’t use Monarch for data/problem analysis. You could create ad hoc extracts or put code in scripts using Monarch to extract data from downloaded reports and delimited or fixed length files. Coupled with some other free or inexpensive software that ran in DOS (and its successor environments) like febootimail, WinSCP, etc., I could put together a script that grabbed a standard report from an HIT system, separated the wheat from the chaff, put it into a human- or machine-readable format and email/FTP the output, typically in less than a couple of hours. I’ve been out of the HIT biz for a few years now and I still use a personal copy of it from time to time. SelfControl www.selfControlapp.com. Free open-source application for Mac OS. It lets you block your own access to distracting websites, your mail servers, or anything else on the Internet. Just set a period of time to for blocking, add sites to your block list, and start. Until the timer expires, you will be unable to access those sites–even if you restart your computer or delete the application. ColdTurkey https://getcoldturkey.com, Flexible and difficult to circumvent. Dashboard accommodates a weekly schedule, including a lock to prevent the impulse to make changes during the lock time. It accepts brea ktime between work periods. It will allow for setting up blocking everything except for a few sites, or the entire Internet, and offline games. Wonderful for assuring sleep time with Frozen Turkey, a feature which assures you’ll be locked out of your device for a specified period of time. It is also activated 10:30 p.m. to 6 a.m. on kids’ devices during the week. This week’s question: How well does your boss know you and your family socially? What off-work interaction do you have? Mayo Clinic goes live on Epic at the first sites of its $1 billion implementation. Cerner Chairman, CEO, and co-founder Neal Patterson dies of cancer at 67. Jawbone’s financial pressures lead to its planned shutdown, with its founder moving on to data acquisition and analysis vendor Jawbone Health Hub. Some Nuance cloud-based systems remain unavailable to users nearly three weeks after its June 27 cyberattack. 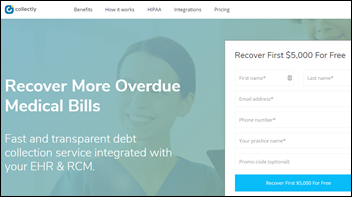 Collectly — which offers EHR-integrated personalized debt collection programs with a focus on physician practices — raises $1.9 million in seed funding. The company charges a flat rate of 10 percent of collected debts that are less than six months overdue. 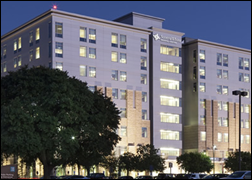 Baylor Scott & White Health (TX) chooses Kyruus for provider search and scheduling across its 48 hospitals and for its API-powered ability to match consumer-reported conditions and symptoms to potential providers on its website. 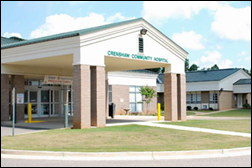 Mary Starke Harper Geriatric Psychiatry Center (AL) went live on CoCentrix in 2017. Cozad Community Hospital (NE) will replace NextGen Healthcare’s revenue cycle management software. Several Select Specialty Hospital locations will implement Epic. 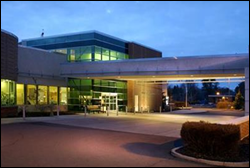 Treasure Valley Hospital (ID) will replace Healthland with Cerner in July 2017. Saint Thomas Highlands Hospital (TX) will implement Cerner in October 2017, replacing Medhost. Howard Landa, MD (Alameda Health System) joins Sutter Health as VP of clinical informatics/EHR. Stony Brook Medicine hires Kathy Ross, MBA (Ascension Health Services) as CIO. A tiny Reaction survey of 113 ambulatory providers finds that a significant percentage of them trust EHR vendors less in general following news that EClinicalWorks paid $155 million to settle Department of Justice charges, with two-thirds of them also indicating that they probably won’t consider buying EClinicalWorks in the future. The local paper covers the replacement by Kittitas Valley Healthcare (WA) of its NextGen, Empower Systems, McKesson Paragon, and McKesson Horizon Home Care with Cerner. Interesting: a failing, formerly county-run Alabama hospital prevails in a four-year-old legal battle over the 12 citizens of China it recruited to invest $500,000 each in return for a fast-tracked citizenship via a federal government program. US Citizenship and Immigration Services rejected the application in saying that the hospital didn’t meet the federal government’s definition of a “troubled business” that would allow wealthy foreigners to buy their US citizenship via investments. Here is Part 2 of Vince’s HIS-tory of Cerner from a few years back. It’s fascinating to read about Cerner predecessor PGI’s fortuitous entry into health IT when lab systems were catching on and the big players were HBO, Spear, BSL, MedLab, SMS, and McAuto, all long gone since those heady days of 1980. I saw some familiar but also-dead companies on his 1988 list – TDS, Antrim, Citation, and Terrano, for example. I’m peeking ahead at Vince’s next episode and I’m fascinated about how the name Cerner was chosen and by whom. Weird News Andy pitches a new TV series he’s calling “Ambulance Wars,” even providing a tagline of “Both companies are losing patients.” Houston-area Republic EMS sues rival City Ambulance and its president Mohammad Massoud, claiming that City Ambulance vandalized its ambulances a dozen times in retaliation for losing business and employees to Republic. Republic says City Ambulance hired people to shoot out its ambulance windows, cut the brake lines of one of its ambulances, and covertly installed GPS trackers on its ambulances to harvest client addresses for follow-up advertising. Optimum Healthcare IT posts a study of its work on Allegheny Health Network’s Epic Community Connect. There may be some additional costs there as well. Athenahealth sure has a hard time keeping CFOs around. It’s typical of a high flying IPO. The CFOs are getting paid and the expectations are so high they typically can’t meet them. Lots of CFOs at Athena will make serious $$$. Karl made $2.6MM in stock which only becomes liquid when he sells it. To sell it, he has to resign. Do you want to sit on more than > $2.6MM?